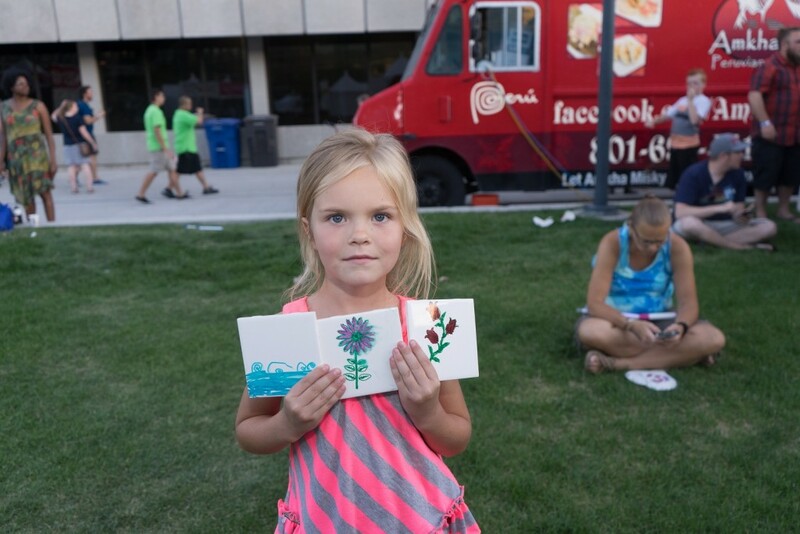 Last year, the Utah Arts Festival’s Art and Technology venue was a powerhouse of low-cost make-and-take projects that were simple enough even for children as young as five years. 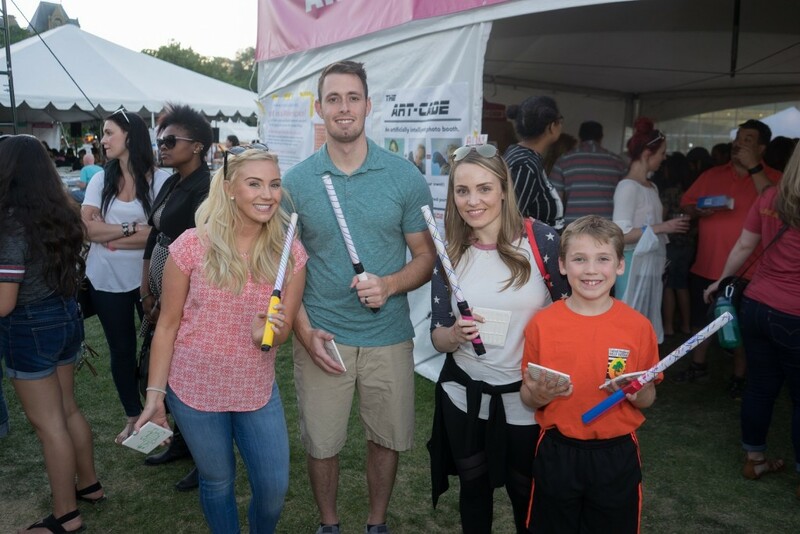 With encouragement from Make Salt Lake volunteers, kids made and took home more than 8,000 pieces including Brush Bots, light sabers, cyanotype prints and customized art tiles. This year, Make Salt Lake is prepped to meet the demand, according to Beth Sallay, venue coordinator. “We’ll have materials for about 9,000 to 10,000 make-and-take projects,” she says. The purpose is to provide an encouraging creative environment so that no one, regardless of their ability or even of their understanding of technology, feels intimidated. As Sallay explains, volunteers at Make Salt Lake learned to do things they thought would be difficult, if impossible, to achieve. Volunteers have spent months preparing activities, including several interactive demonstration pieces and a ‘brag table’ display of projects Make Salt Lake members have developed. Again, kids will have the opportunity to make Brush Bots, light sabers, cyanotype prints and customized art tiles and Make Salt Lake members have tuned these projects to deliver even more value and science-tech appreciation. 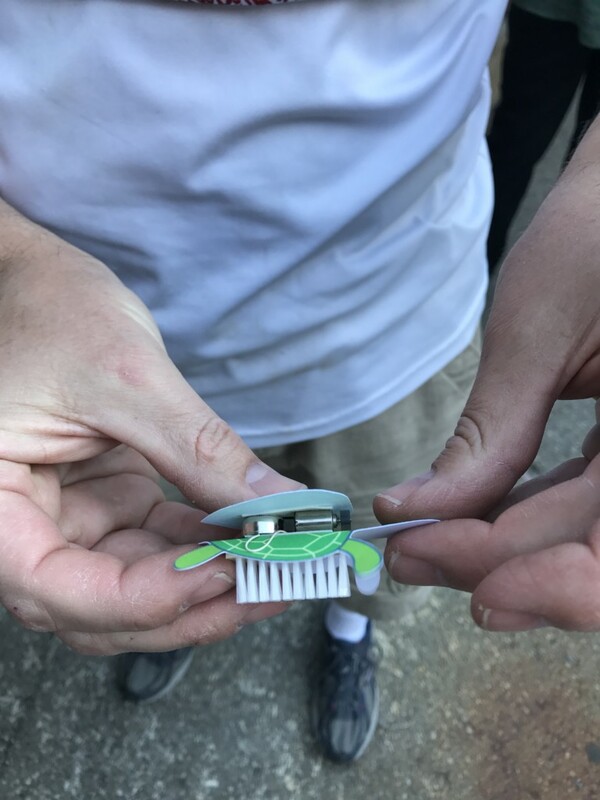 The Brush Bots are tiny skittering robots with the simplest working parts that are barely more than a toothbrush head, motor and battery. Richard Iverson purchased a box of 1,000 toothbrushes from a local janitorial supply source for a total of just a little more than $49, which works out to less than five cents apiece. 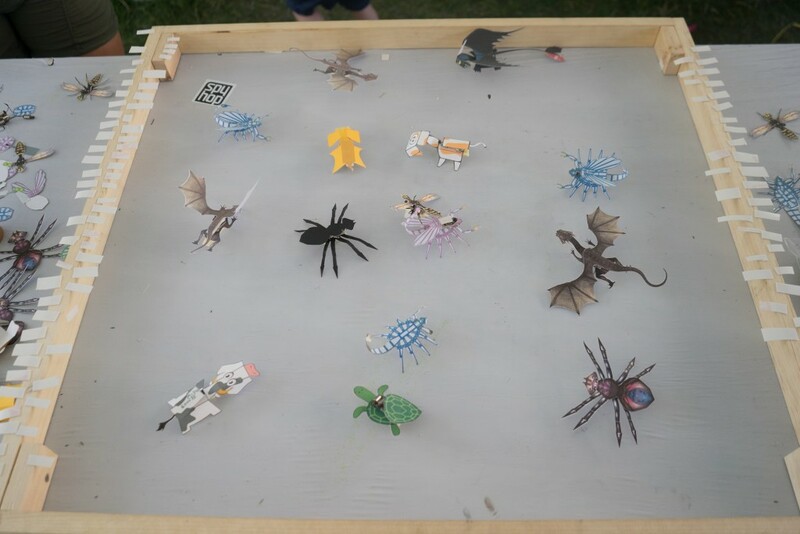 Participants can select their own cutouts from an array of animal shapes including dragon, turtle, cats, cow, scorpion and fly. He’ll have 1,200 batteries and 1,200 motors on hand. The Brush Bots are durable, surprisingly for their size and simple construction. A dragon Brush Bot from last year crossed a smooth concrete surface without stopping during a demonstration before the upcoming festival. Kids can assemble it in a matter of a few minutes. Another returning project is cyanotype printing, which actually represents a photographic print process technology discovered in the mid-19th century and was widely used well into the 20th century for reproducing notes and architectural diagrams such as those in blueprints. Many contemporary artists have adapted the fairly inexpensive process which generates a cyan-blue print using two chemicals: ammonium iron (III) citrate and potassium ferricyanide. Participants will be able to make and take home a print on paper that has been coated and exposed to the sun. The biggest expense is the paper. The miniature light sabers are back for a third year with further improvements for bright nighttime color effects. A wad of cotton was added in the pipe to enhance the lighting effect. The crew built battery holders and kids will add the battery, select the color of the LED crystal, decorate them and take them home. It’s a quick project that can be accomplished in minutes while offering a basic lesson in circuitry and how LEDs work. At a demonstration, two kids, 4 and 7, assembled the light sabers in barely more than a couple of minutes. Volunteers also will produce silhouette creations from photos captured on a green screen and cut on the Cricut cutter that will become a vinyl sticker. A new feature will be low-cost portable air quality sensors that connect to WiFi, a project coordinated by Brad Midgley. 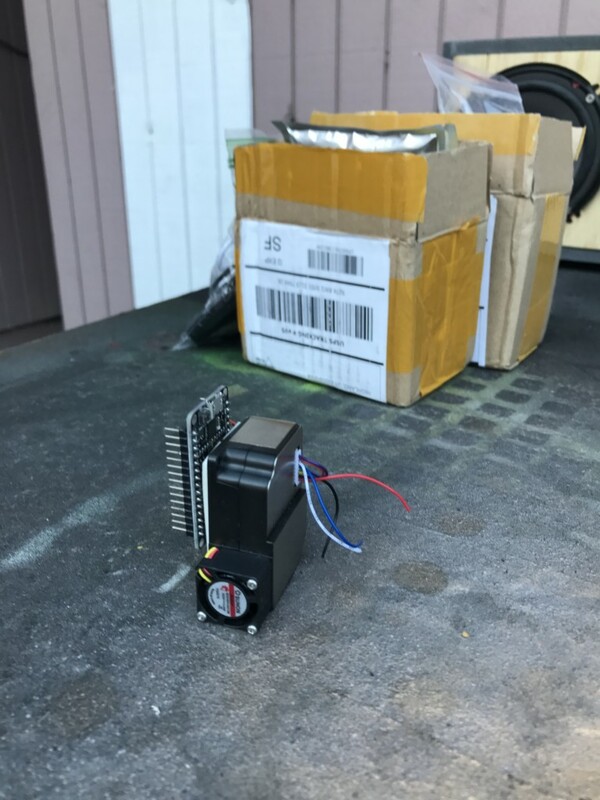 The devices, which are built from parts with a total cost of between $30 and $40, can change the ways in which air quality data is collected, analyzed and utilized for policy purposes. Midgley explains that with a sufficient number of portable sensors being carried around by individuals in their neighborhood communities or downtown districts, data would be collected into dense enough networks that could give scientists and air quality officials better readings on constantly occurring changes in particulate levels in the air and how other factors, such as weather, are having localized effects. This becomes valuable to scientists working with governmental agencies who often are limited by the data collected at monitoring stations away from the most active traffic and movement of people in localized areas, especially if they live close to interstate highways or to major thoroughfares with the greatest traffic volumes, or near major parking areas or industrial and manufacturing facilities. 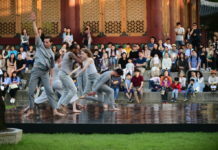 There will be 10 sensors available at the festival, which includes a display indicating if the particulate levels in the air are below or above the threshold measurement considered safe for breathing. Given the limited number of sensors, Midgley says the staff will build an email list of interested individuals and Make Salt Lake will send detailed information about how to obtain the parts for the sensors, which can be easily assembled. The parts for sensors are available through online sources. Besides the extensive production operations, the venue has many interactive activities that cover a range of technological sophistication. One of the simplest examples yet and one that kids will certainly enjoy is a pinball table that can be easily configured according to one’s preferences, which Sallay designed. She adds, for example, character heads taken from inexpensive toys purchased at discount stores and Pez candy dispensers. There will be the Artcade, an artificially intelligent painter designed by Duane Johnson that works like a photo booth in which participants can generate a unique painting image in 30 seconds. 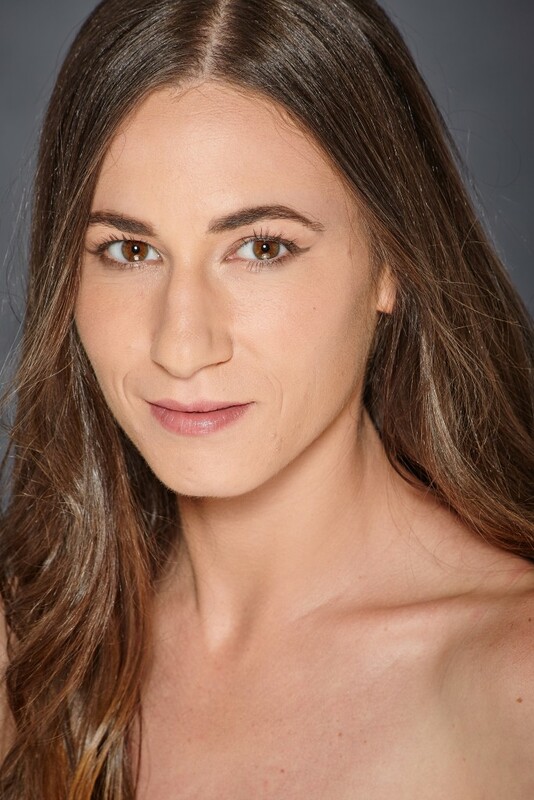 Johnson uses a deep learning algorithm called Neural Style that incorporates a large data set of classic images and styles and which has drastically reduced the processing time from previously one week to just 30 seconds. This year, participants will be able to get a print of their image. Michael Beck has built a harmonograph that reminds baby boomers of the effects achieved with the Hasbro Spirograph toy that was introduced during the mid-1960s. However unlike the toy, Beck’s harmonograph uses 7.5-pound pendulum weights to produce geometric drawings of mathematical roulette circles and curves, using a roller-ball pen that creates the image on paper. Invented in the 1840s, the harmonograph has enjoyed a bit of resurgence, thanks in part to Steampunk movement artists. 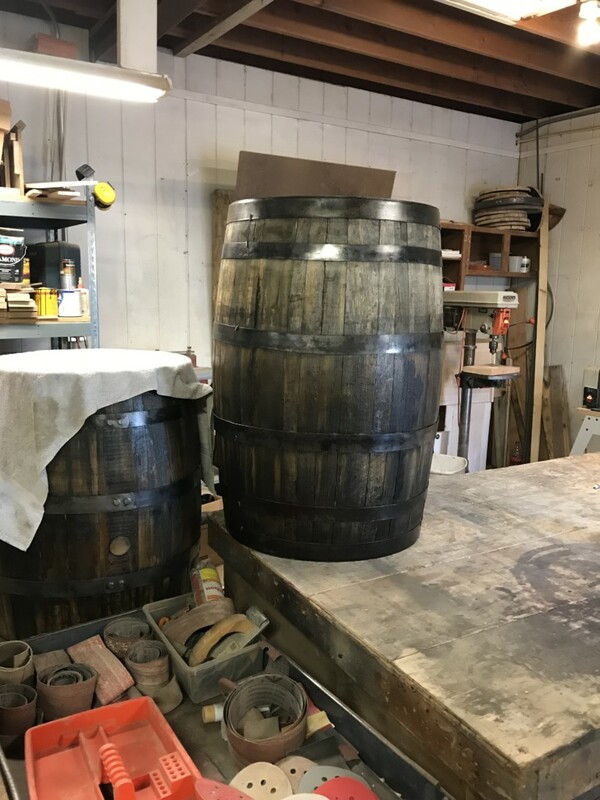 One of the projects that will be featured at Make Salt Lake’s ‘brag table’ involves old dilapidated barrels that have been fully restored and transformed into barbeque pits that evoke a perfect homespun look. Make Salt Lake, which operates out of a warehouse at the Utah Arts Alliance building just west of downtown, always welcomes new members who can learn various projects and develop their own with the assistance of the organization’s members. Spy Hop Productions, one of the nation’s most respected youth media organizations, will launch new workshops at the venue that will give participants a chance to create beats and write their own music, claymation animation pieces, and films (watch The Utah Review for an upcoming feature) that solve a riddle – all of which will be presented in a public showcase on the final evening of the festival. The workshops are free and open to students, ages 13-19. Registration is limited but includes free admission to the festival. The venue also will offer a digital art lab to highlight the latest in virtual reality technology.